So how good is your brand? So you know what a brand is and you know what a typical brand process looks like and that is all very useful - but what about YOUR brand? When was the last time you really thought about your brand? When was the last time you considered if it is actually fit for purpose? What is your existing brand currently saying about you? If you would like to take a moment to really think about your current branding then we have a document that might be of some help. 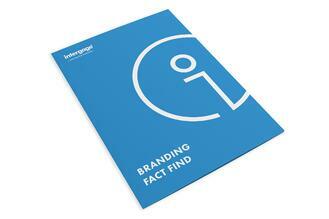 Check out our Branding Fact Find Document and really get to know your brand again. FILL OUT OUR FORM TO GET YOUR FACT FIND DOCUMENT.